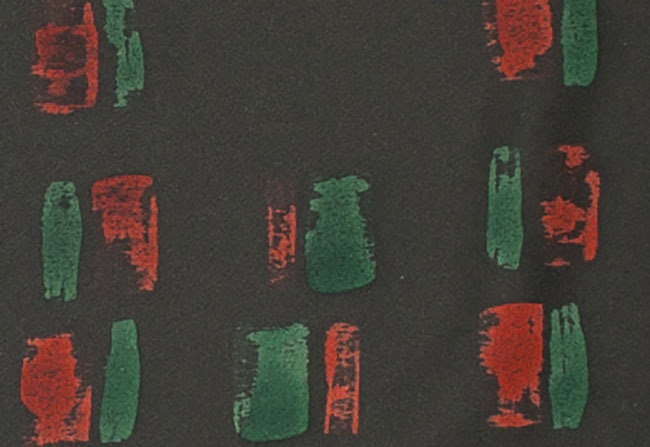 Kimoyes item: 22157 - Smooth brown silk with brushes of red and green. Smooth brown silk with brushes of red and green. Reverse is also interesting.